i dunno. a friend [the same friend who made me make my other kh wall] asked for this as a Christmas present. yup, you heard right. 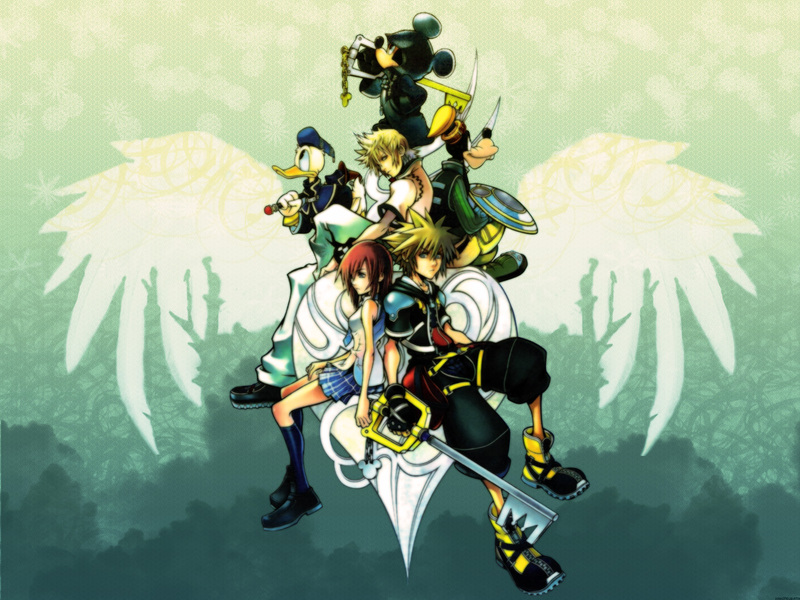 i made this last december, in her anticipation for the release of Kingdom Hearts II. =x i really don't feel much for this. just a quick one. Nice wallpaper. A little blurry, but I fixed that with a few soft light layers with the high pass filter in Photoshop. It's been so long, kaki, it's been sooooo long. Actually seeing this the second time I realize how wonderful this is. The background was wonderful and the texture made it look less plain. This was wonderul though I didn't like how the characters looks blurry. white wings... man, it's great. i luv the color!